There is nothing quite like a batch of homemade cookies fresh from the oven and a glass of cold milk. It brings back fond memories of childhood when my mom used to make cookies for us to eat after school. 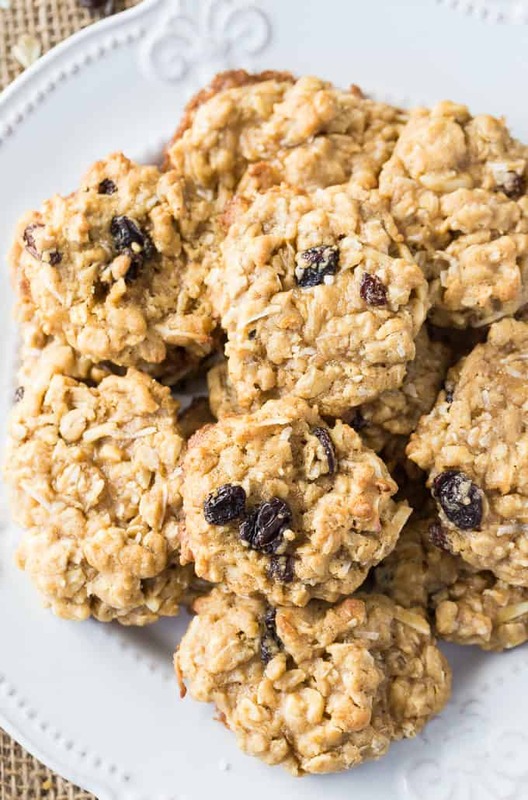 These Trail Mix Oatmeal Cookies are chewy with loads of flavour and texture. They are also really easy to make. I used slivered almonds, but you could easily substitute another type of nut. Use whatever you have in your pantry. Ready in 10 minutes, they come out perfectly golden and ready to enjoy in minutes. I love eating mine fresh out of the oven while they are still a little soft and warm. So so good. Because they had nuts in them, my girls couldn’t bring them to school, but they were there when they got off the bus. Looking for more ways to use oatmeal? Try this Oatmeal Cake or Oatmeal Pie. You might also like these Thumbprint Cookies or Cream Cheese Cookie Recipe. 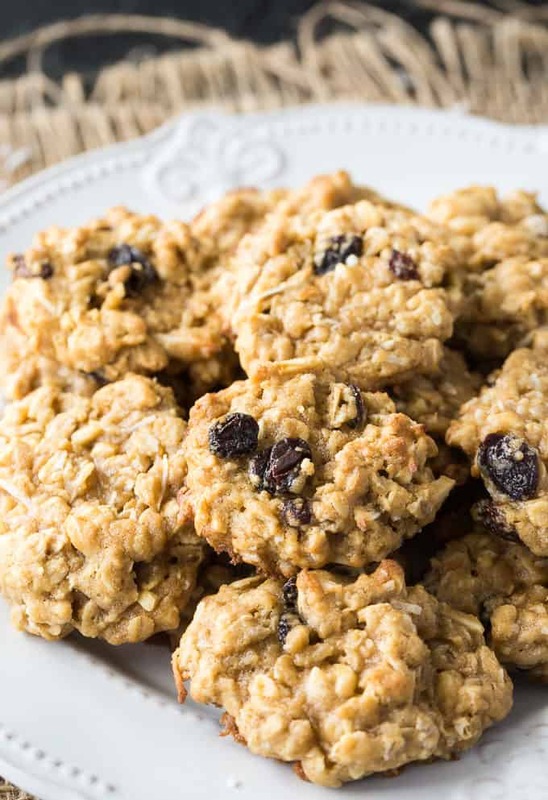 What are your favourite type of oatmeal cookies? Chewy and packed full of delicious flavour and texture. These cookies are wonderful served with a cold glass of milk. Preheat oven to 375F. Grease two cookie sheets and set aside. In a large bowl, beat the butter and brown sugar until combined. Beat in egg and almond extract. In another large bowl, stir together flour, baking powder, baking soda, oats and salt. Add dry mixture into wet mixture and stir to combine. Stir in slivered almonds, raisins and shredded coconut. Place a heaping tablespoonfuls of cookie dough on the baking sheet, spacing them about 2 inches apart. 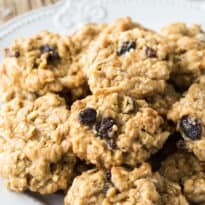 Love Oatmeal Cookies, I am not a fan of raisins so would have to substitute something else for that but other than that they sound great! Great twist to an old favourite! Thanks for posting! How much oatmeal? I don’t see it in the list of ingredients. Oh goodness! Got it added in now. It’s 1 1/2 cups oats. Thanks for the heads up. Just saved this one. Me or hubby will have to whip up a batch. We use pecans the most. I usually like to double these recipes since they are so good. These look amazing!! Thanks for sharing this. Oatmeal cookies are good but I like chocolate chip better. Yum! I love oatmeal cookies, so it’s nice to have a new variety to try. Looking forward to trying this recipe! Just found you on Miz Helen’s Full-Plate Thursday. Those sounds so good!! I love the addition of coconut! Yum is the word for these. 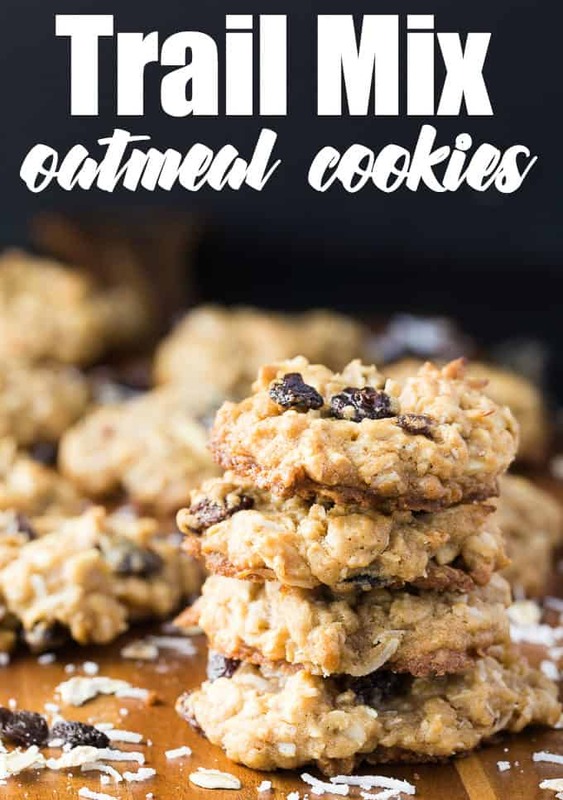 Oatmeal cookies are one of my favorites, I can’t wait to give these a try. Stacie hanks for sharing with our Pretty Pintastic Party. They look delicious! I will definitely give it a try :). These cookies look delicious! Hope you are having a fantastic week and thanks so much for sharing with us at Full Plate Thursday. We will look forward to seeing you again real soon! Oatmeal cookies of any kind are our favorites. Thanks for sharing at the Inspiration Spotlight party. Pinned & sharing. I love cookies like these! They look so fresh and my kids would love these cookies! I want to make them. I need to make these, as I’m not going to stop thinking about them they look soo good, and I have most all the ingredients already!!! Yippee!